Whether you are dreaming of a completely new kitchen or bath, or just a simple update of an existing kitchen or bath, we can provide you with a full range of ideas and options. You'd be surprised what a difference even one change can make to the appearance of a room. We will take care of the complete update, from start to finish. We'll help you create rooms that fit your lifestyle. 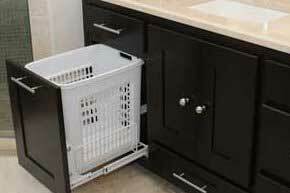 Better yet, we can achieve your dream bath or kitchen efficiently. Your home is where you and your family feel safe and comfortable and where your most cherished memories are created. That's why making a decision about which contractor to use for your remodel in Lubbock, Texas and the Texas Panhandle area is very personal. Let us design a new kitchen to make your remodeling dream come true. Get inspired by our portfolio of kitchen photos. Beautiful bathrooms begin with great design ideas. We will create a room for you that is useful and practical as well as beautiful. 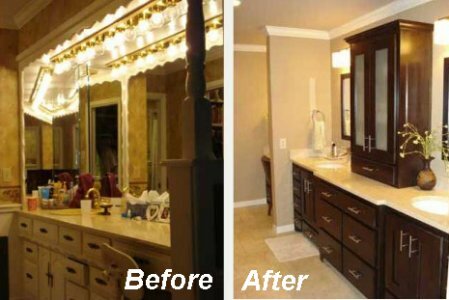 Compare the before with the after photos in this gallery to see what wonderful results are possible. "They're great people and their work is amazing. What more could you ask for?" "Our main appreciation was the quality work they did. Steve Betts and his DreamMaker crew exceeded our expectations." 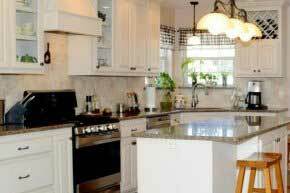 "We're so very pleased with how our kitchen turned out. It's like something you'd see in a design magazine. It's our dream kitchen!" 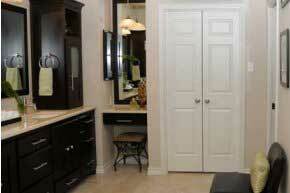 "We've never had such a pleasant experience with a remodeler as we did with DreamMaker. They are top notch!"